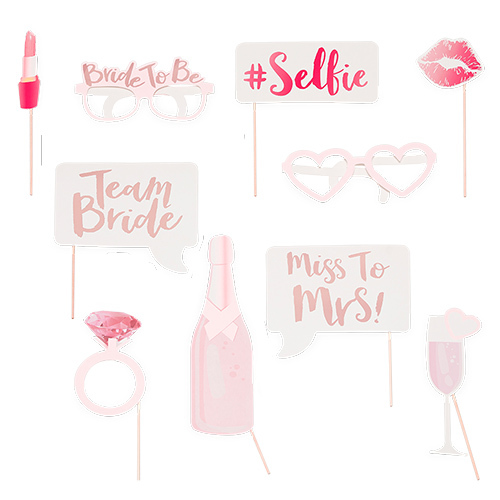 Photo booth props are a fantastic addition to a hen do, they help by adding a little bit of quirkiness to any photos which are taken which can make their Instagram appeal so much higher. 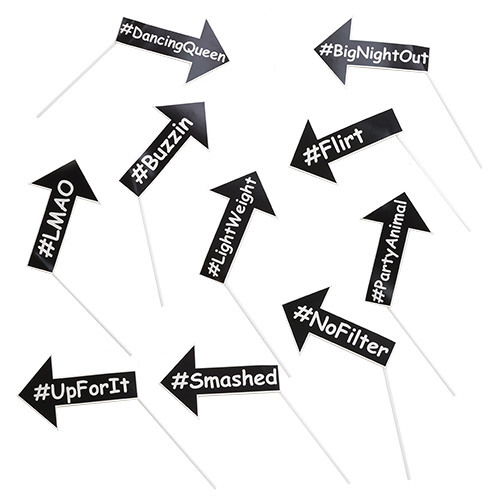 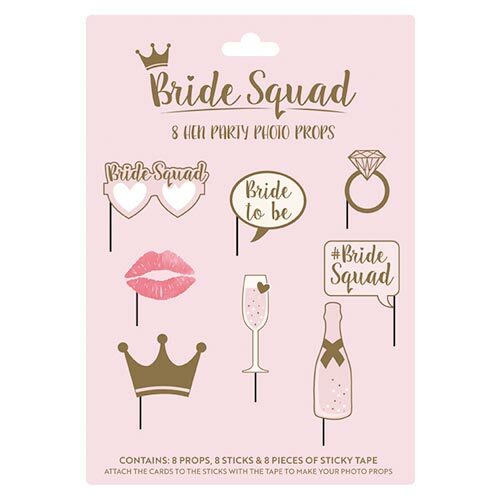 This collection of props includes A couple of cocktail glasses, A hashtag, Some diamond ring glasses and some phrases including “Best hen do ever”, “Bride Squad” and “She said yes”. 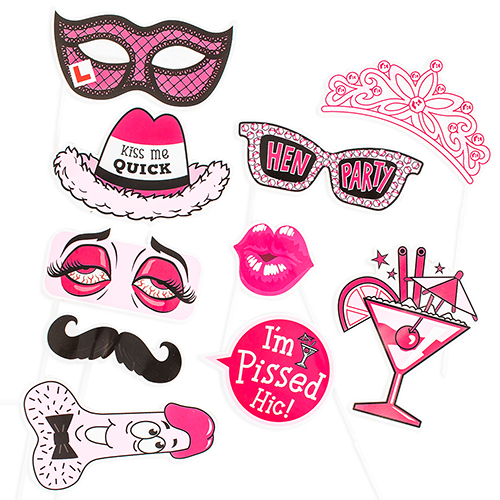 This is a pack of ten props so there is enough variety to keep things interesting. 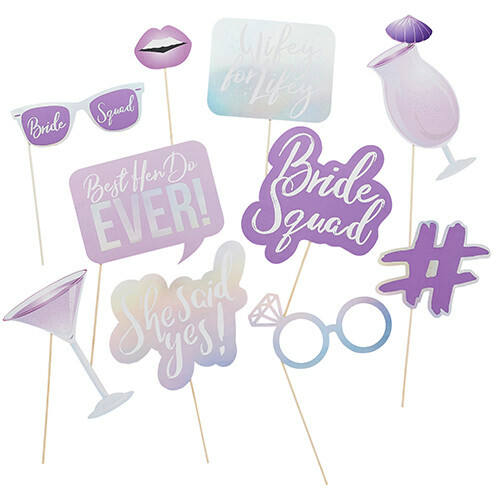 The props all come with sticks and stickers to attach them, they larger ones are around 18cm long and there is a mixture of colours in the pack including a range of different shades of purple as well as shimmering iridescent silver.